Will start stay running, does not have full power and sounds like it is misfiring. Have you retrieved any dtcs? If not, you will need to have this done to begin the diagnostic process. 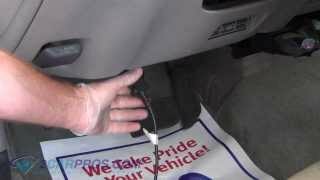 Of course you can also do a quick visual under-hood inspection like checking your air filter housing and filter are clean, clear and fastened correctly. Also fuel level and condition can play a role in a rough running vehicle. By having codes read you can isolate the problem cylinder and find a possible faulty coil, spark plug, injector or engine mechanical concern. If you decide you would like to conduct the scan yourself here is a link to an article from this site that features written step by step instructions and pictures explaining how to do the scan yourself. 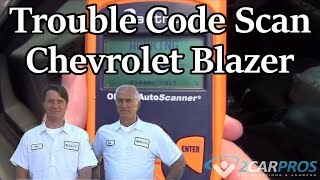 Also, I have included a link to our YouTube channel with a how to video on code scanning. This is applicable even if your check engine light is not on. Once you have the codes please get back to us with the code number(s) so that we can further assist you. We are always happy to help. Thank you for visiting 2CarPros.com. 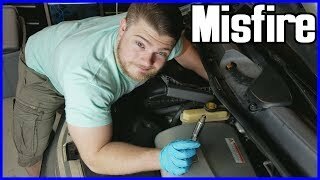 2004 Jaguar S-type Why Does My Engine Stall And Seems Like Its Only Running On 4 Cyl? Also Getting Fuel In Cylinders?